1 Students watch as a group of artists finish a piece based on the missing Malaysia Airlines flight MH370 that was painted on a school ground in Makati city, metro Manila, Philippines, March 17, 2014. 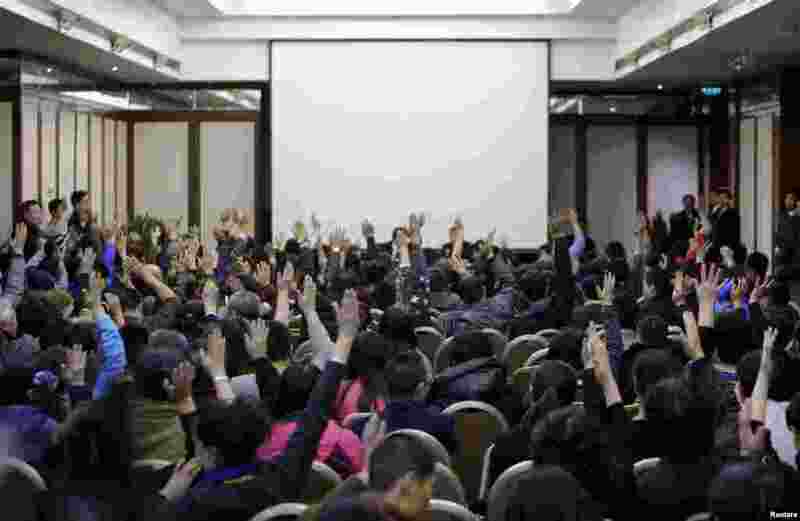 2 Family members of passengers onboard Malaysia Airlines Flight MH370 vote to talk directly to Malaysian government's representatives during a meeting with the airline's representatives at Lido Hotel in Beijing March 17, 2014. 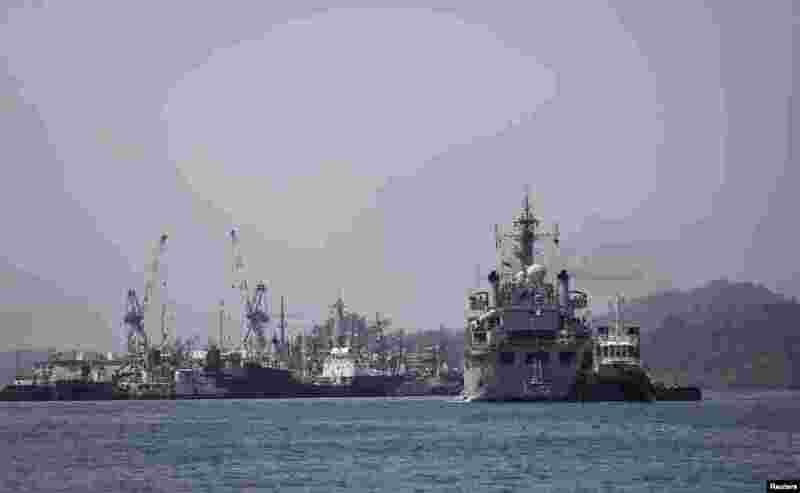 3 Indian Navy ship INS Kesari, involved in search operations for the missing Malaysia Airlines Flight MH370, arrives at the naval base in Port Blair, the capital of India's Andaman and Nicobar islands, March 17, 2014. 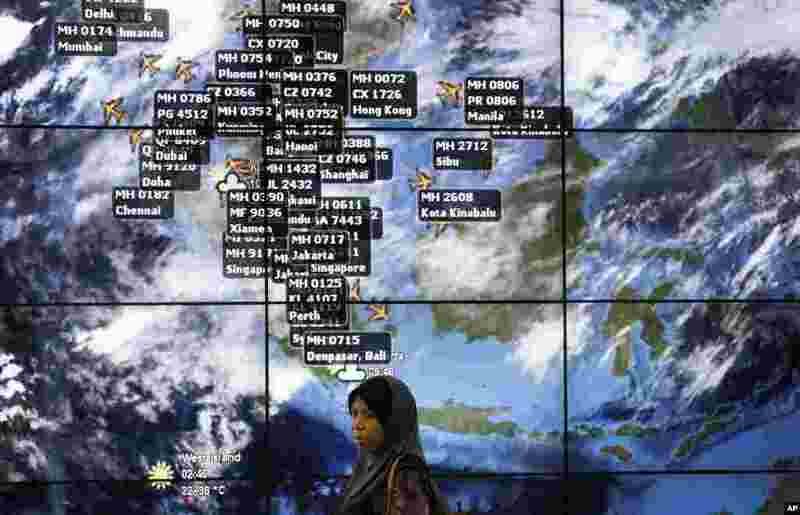 4 A woman stands in front of an electronic display showing live information at the Kuala Lumpur International Airport, March 16, 2014. 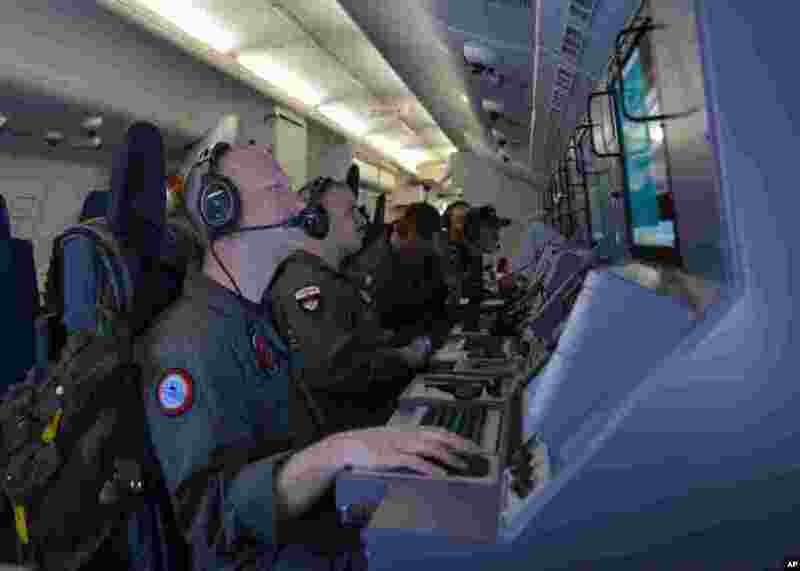 5 This U.S. Navy photo shows crew members on board a P-8A Poseidon aircraft assisting in the search for Malaysia Airlines flight MH370 in the Indian Ocean, March 16, 2014. 6 Chinese relatives of passengers aboard a missing Malaysia Airlines plane walk out from a hotel room after attending a briefing by Malaysia Airlines in Beijing, March 16, 2014. 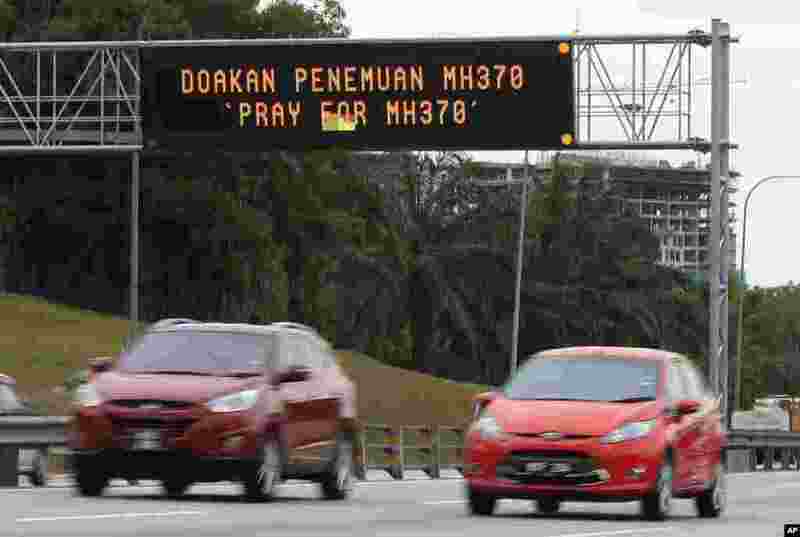 7 Motorists drive past an electronic board displaying "Pray for MH370" in Shah Alam, near Kuala Lumpur, March 16, 2014. 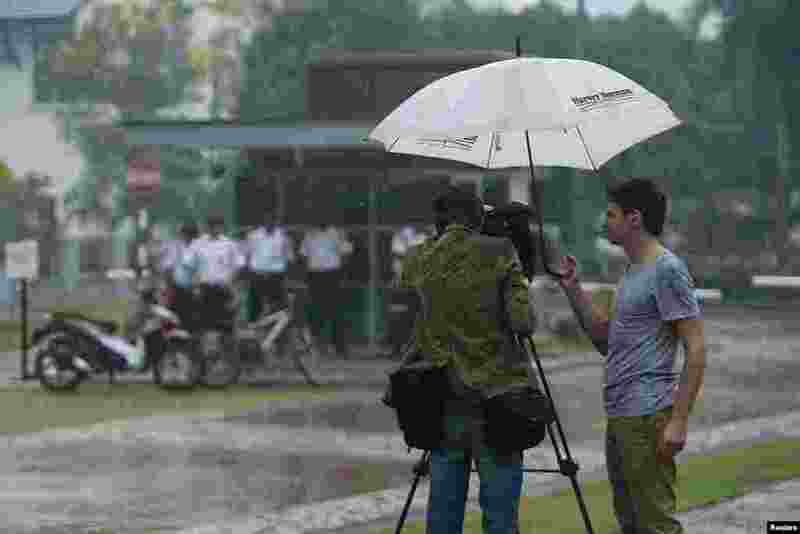 8 A journalist films the entrance of the compound where the home of pilot Zaharie Ahmad Shah, the captain of Malaysia Airlines flight MH370, is located in Shah Alam, near Kuala Lumpur, March 16, 2014. 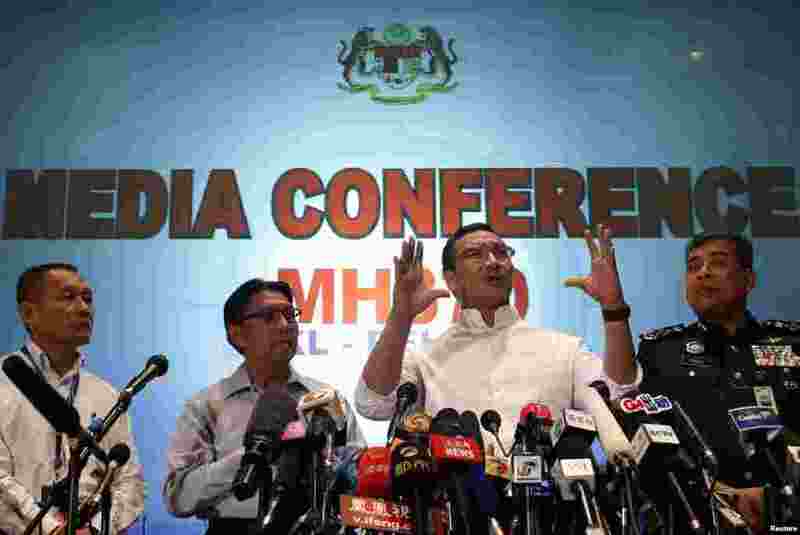 9 Malaysia's acting Transport Minister Hishammuddin Hussein (2nd right) speaks about flight MH370 at Kuala Lumpur International Airport, March 16, 2014. 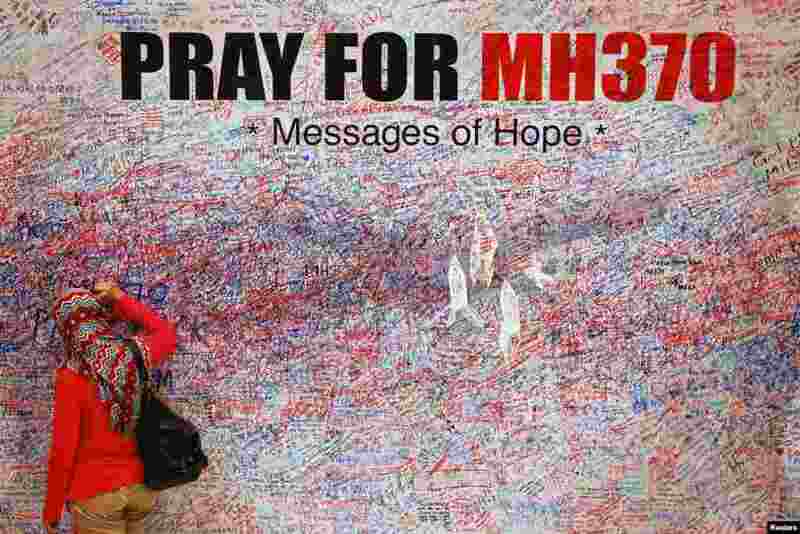 10 A woman leaves a message of support and hope for the passengers of the missing Malaysia Airlines MH370 in central Kuala Lumpur, March 16, 2014.